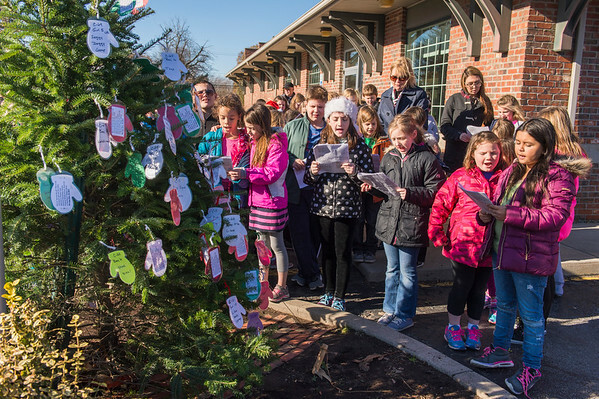 Roy-Hart student sing Christmas carols after placing “mittens" on the Gasport Lions Club's tree at the Gasport Post Office for the Lions’ long-running Community Christmas program. The mittens have a child’s age, gender and a gift idea listed on the back. The community is invited to pick a mitten, purchase the item and return it (unwrapped) to one of the drop off locations, also listed on the back. The purpose of the program is to help families in the Roy-Hart School district that are in need of a little Christmas cheer.